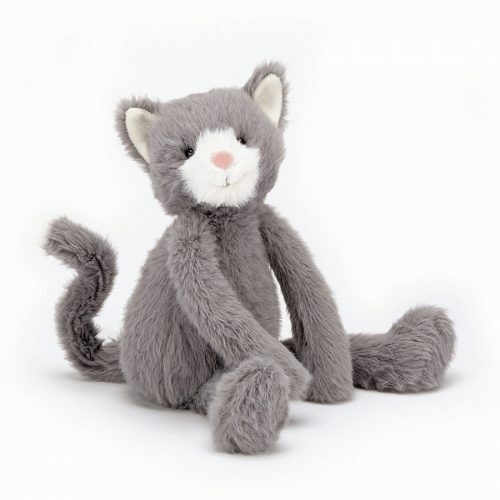 Sweetie Kitten is a bluey-grey cutie, with long, beany arms and soft tussly fur. This pretty kitty sits up attentively, curious about the world. With pink suedey ears and a nuzzly cream muzzle, she’s just adorably friendly. Tickle her tail and cuddle her tight and she’ll tell you lots of silly stories!